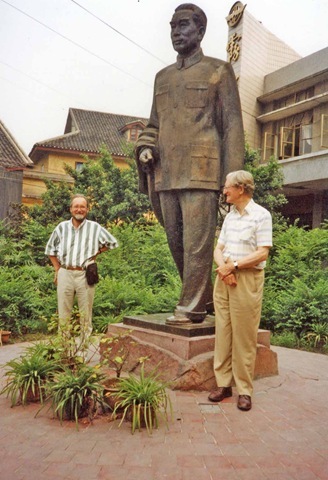 A FEATURE I wrote for the ‘Darlington and Stockton Times’ in June led to two people reminiscing about the life of Darlington born Doug Hardy who died in China in June 1942. After reading the feature Wendy Acres of Darlington contacted me because she so wanted to meet someone who had known Mr Hardy who was, she explained, her first cousin once removed. “There are very few of my family left now and I was very small when Doug left England,” she said. So she was delighted to have an opportunity to visit Peter Leyland at his home in Bainbridge in Wensleydale. Mr Leyland and Mr Hardy became friends at the Quaker College at Ackworth, shared a berth on the voyage to India and to Burma, and worked together with the Friends’ Ambulance Unit (FAU) in China. Mr Leyland said that the Executive Yuan of the Chinese Republic during the war had only issued the illuminated certificates to the two members of the FAU who had died while serving there. Both John Briggs from Horsforth near Leeds and Mr Hardy died from typhus. During her visit on Monday afternoon Ms Acres showed Mr Leyland photographs of Mr Hardy and the letters which had been sent by a doctor and a nurse who had nursed him at the mission hospital until his death. The nurse had written that even when very distressed “his manner was always just beautiful”. “I’ve enjoyed reminiscing this afternoon even if about a sad time. I was very cut up when Doug died,” said Mr Leyland. 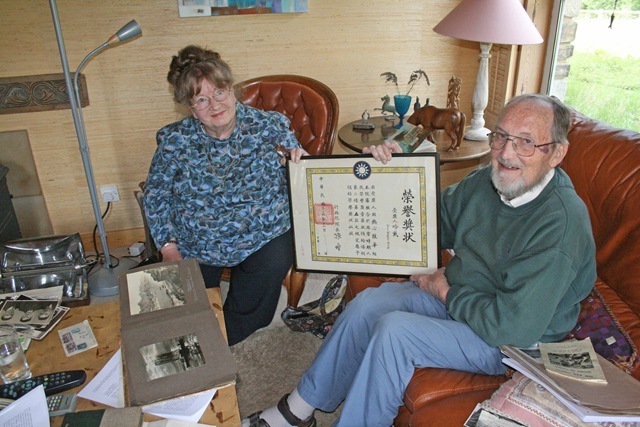 THE earthquake in China has brought back memories for Peter Leyland of Bainbridge in Wensleydale of transporting medical aid to Sichuan Province during the Second World War. 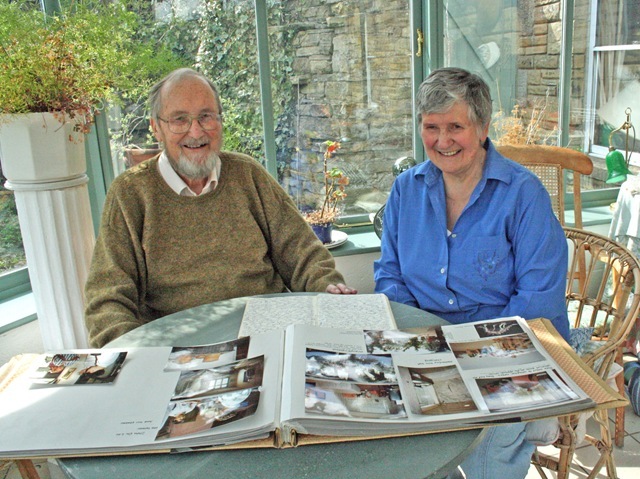 (Right) Peter and Janet Leyland studying his China diary and photographs. Peter was articled as an accountant in London when the Second World War broke out. He served with the FAU in London during the Blitz and then joined the “China Convoy” as it became known. 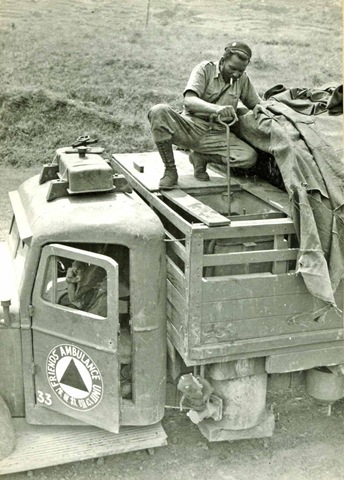 After lessons in Chinese, mechanics and first aid he and about 40 others headed for Burma late in 1941. 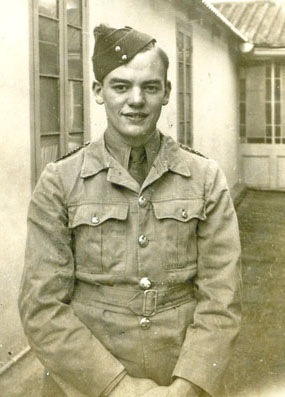 Ten months later, on June 10, when in West China, he wrote in his diary that the unit was at its lowest ebb in morale – and that was before he heard of the death of his friend, Douglas Hardy. Doug, from Darlington, had attended the Society of Friends school at Ackworth with Peter. They had shared a cabin in the City of Baroda when it sailed from Glasgow in September 1941 during the height of the U-boat war in the Atlantic. During the journey they had gone sight seeing together in South Africa and India and in China had met each other regularly. On Saturday, June 13 ,1942 he wrote: “Doug died on Thursday. It seems he developed typhus and with the dysentery just hadn’t the resistance. Poor Doug – I suppose he is the last of us I should have wished to go, having known him since school and being such great friends during our time together in this convoy. He has been buried at Anshun. I am gathering Doug’s things together.” For the China Convoy this was the second death from typhus for John Briggs had died on June 9. John was from Horsforth near Leeds and his parents built almshouses there in his memory. Peter helped with the drive north to Lashio and on into China. On January 2, 1942, the scenery was so awe inspiring that he almost forgot it was his 22nd birthday. The day before they had driven up Maymyo Hill, a rise of 3,000 feet in six miles in a series of 22 hairpin bends. It was not long before the Burma Road was closed by the Japanese and the FAU made its headquarters near Kunming in China. There was a desperate shortage of petrol and so most of their lorries were converted to run on charcoal. Doug had been one of the pioneers of using such adapted lorries. (Left) Checking a charcoal burner on a truck. Peter explained:“Our job was mainly to transport these medical supplies with our charcoal burners throughout west China to the various hospitals. The Government of China was established in Chongqing and we were transporting these medical supplies brought in over the Hump throughout this west China region mainly Yunnan, Guizhou and farther north Sichuan. Chongqing was in the middle of Sichuan on the Yangtze.” The Hump was the name given to the air supply route over the Himalayas from India to Kunming over the Himalayas. As an accountant his main problem was the level of inflation which was often at 20 per cent per month. Foreign currency for the China Convoy was sent to the British Embassy in Chungking and was only converted into Chinese dollars as and when needed. When drawing Chinese dollars from the bank Peter had to take a rucksack because he received the money in huge wads of notes. “We when we paid wages to our Chinese staff they would immediately rush round to the market. They converted it as soon as they could into goods, rice and food – it was really quite extraordinary,” he said. In November 1945 as he came to the end of his time with the FAU he was asked to travel home via North America to talk to some of the donors about inflation accounting. But then he got a telegram informing him that his only brother, Derrik, had died. He headed home to support his mother but was held up in India for three months waiting for a berth on a ship. Within days of his reaching Bainbridge she introduced him to her fiancé, Anthony Pim, who was a master at Bootham School in York where Derrik had also been teaching. So he went back to London to complete his accountancy training. He went on to become the finance director of the Scott Bader Commonwealth. I graduated from a medical school in Chengdu, China (formerly West China Union University, founded by 5 missionary societies, including Quakers) and also a PhD graduate from U of Toronto, Canada. I am now working as a scientist in a hospital in Fargo, ND USA. I am writing a non-commercial research article about the history of my medical school in China and especially for the architectures that designed by a Quaker architect. Possibly, this article may be published in Chinese in China. I would appreciate it very much if you could allow me to do so in my writings with your kind copy right permission. Janet Rawlins Leyland did give permission. Interesting reading – my late stepfather David Morris was also one of the China Convoy; I’ve created this website about his book. I believe that the Convoy photo was taken by Stanley T Betterton, it’s on my website courtesy of his daughter.l, who owns the copyright. I’d be very interested if you have other similar photographs; I love the one of the charcoal burner!